WHY INSTALL AN INTRUDER ALARM? Being a homeowner is one of the greatest assets anyone can have in their lifetime. Not only does your home protect your family but it also protects the valuable assets inside, some often irreplaceable. An alarm system is designed to warn you of an attempted break-in and to deter burglars and intruders from entering a property. Having an Intruder System installed can deter opportunists and give peace of mind that assets are protected. Properties which do not employ any form of security are 10 times more likely to be victims of crime. A professionally installed Intruder Alarm plays a significant role in keeping burglars out and your property fully protected whether you’re away for a few hours or a few days. It is much more likely that an intruder would select a property that is not alarmed rather than one that is. It will provide complete peace of mind, safeguarding your family, belongings, and premises. Having a wired home security system was traditional until the introduction of wireless alarm systems. The components of a wired alarm system are connected together using alarm cables. These link each individual components to a control panel which controls how the system works. Wired burglar alarm systems are powered directly by your mains electricity and can be connected to your phone line if you would like it monitored. These provide effective and reliable security protection for your home. Unlike more traditional wired systems, wireless burglar alarms require minimal cabling. This means a wireless house alarm can be installed without the need to run visible wires throughout the property. Instead, the system components are battery-powered and use strong and reliable two-way radio frequencies to communicate with each other. Home security products, including alarms and CCTV, can now use the internet to monitor activity and live stream security images – this is known as smart home security. Smart home security offers you the ability to control your security systems on the move through a secure connection to your home broadband*. 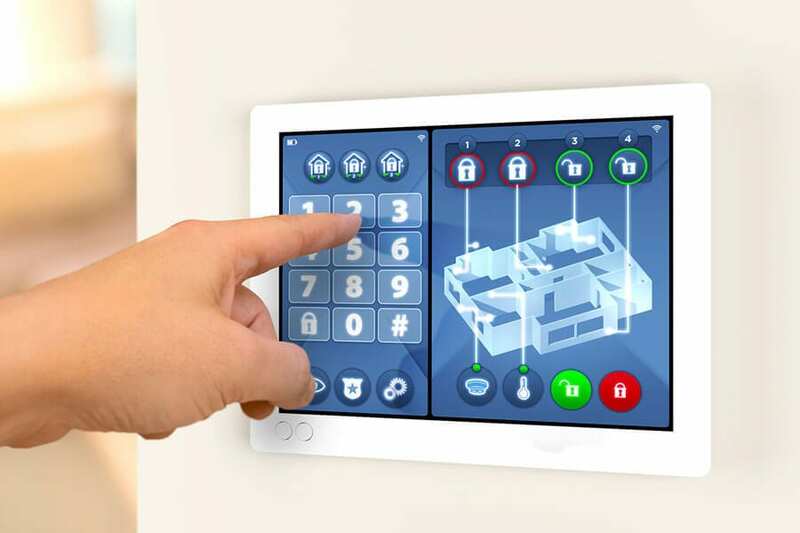 Using an App on your smartphone or tablet, you can connect to your smart home security system to manage your alarm settings and view CCTV images, a little like controlling automated lighting. This type of alarm system is capable of activating internal and external sounders in an attempt to draw attention to your premises, generally reliant upon your surrounding neighborhood to respond. The external sounder will only sound for 10mins in conjunction with the noise abatement policy. You can add a Speech Dialler to a bells-only alarm which enables your alarm to call a selection of telephone numbers should the alarm be activated. Monitored alarms provide you with peace of mind any time you are away from home or your place of business. This type of alarm system is connected via your phone line to our Alarm Receiving Centre. Once activation is received from your alarm system the ARC will determine the type of signal and will then will immediately notify the local police station, us and/or nominated key holder. With this type of solution comes a small alarm system annual fee, but included in that fee is that we will maintain your system every 6 months. All of our monitored systems are supported by a 24hr call out service, police response, on-call engineers and Technical support engineers. Here at Regency Fire and Security Ltd, we have a strong heritage in design, install, take-over, repair, upgrade and maintenance of intruder alarm systems for all types of property including homeowners and commercial premises, in Gloucestershire and the surrounding areas. We have over 20 years worth of experience and knowledge to offer a comprehensive range of burglar alarm systems that are specially designed for you and your property. Regency supply and professionally install the latest industry’s leading technology, to provide our customers with total protection and confidence. From simple but sophisticated affordable residential systems through to high-spec fully integrated commercial installations. Meeting customers requirements with minimal disruption. All systems are installed and maintained to the latest British and European Standards from as little as £400 supplied and installed and maintenance from just £45. We always provide you with expert advice, 24/7 support, and a fast response to call-outs minimising the chances of loss or damage with an impressive 3-hour response. Having a regular service and maintenance plan in place for your security equipment helps the integrity and reliability of your system and​ essential for ensuring your system works when you need it most – in an emergency. A well-maintained burglar alarm offers a high level of protection and is favoured by insurance companies, many of whom offer lower premiums as well covering you in the event of an incident. Preventative inspections identify potential problems before they occur and can be supported with a rapid, prioritised response if required. 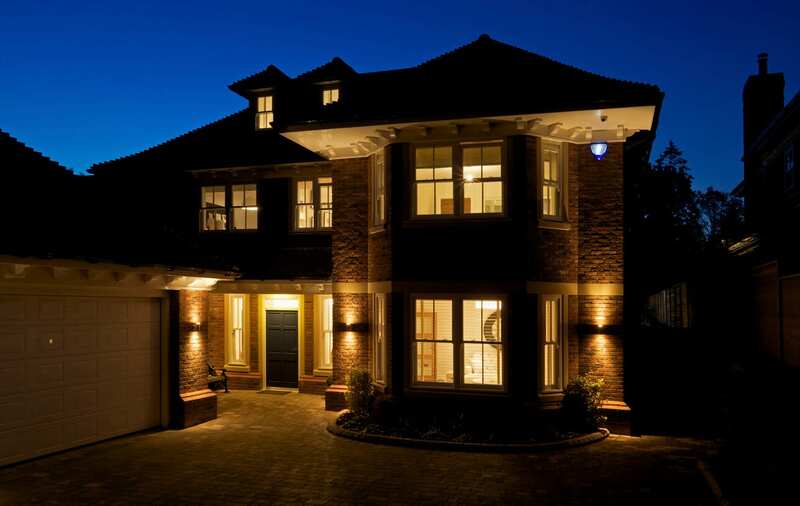 Regency’s breadth of service and expertise means that we are capable of servicing a range of intruder alarm systems. we’re qualified to industry standards and above and their training is regularly refreshed to keep them abreast of developments and changing technologies. All servicing work is carried out by following stringent quality control procedures and to the appropriate British Standards. We offer a bronze, silver or gold maintenance option to suit all budgets and requirements this is from only £55, some plans have flexible payment options.Service includes check of system and control unit functionality, Inspection of all major components and cabling for signs of deterioration, sounder performance check and test, remote signalling test, alternative power source test, detection, coverage and performance. We will then document the visit and offer our expert advice on your system as well as answering any questions you may have. We can also offer one remote service check on capable panels.Intruder alarm maintenance usually takes place once per year, depending on whether your burglar alarm is monitored. Monitored systems require two visits per year to comply with the requirements of the National Security Inspectorate (NSI). Burglar alarm system monitoring; We can initiate an alert to the police or your keyholder, who will then take the appropriate action. Our systems are installed to the National Police Chiefs Council (NPCC) Alarm systems policy to allow us to apply for a police unique reference number (URN) on your behalf which is necessary if police response is required. In terms of installation standards, we’re among the best alarm companies in Gloucestershire. See live images within seconds of your alarm being activated! Flexible Expandable protection with optionally added products e.g. Motion detectors also known as PIR sensors, panic alarm/ buttons, Pet-friendly systems, safety sensors to detect smoke, gas, CO2, and floods. We only select the latest products on the market working with the main security manufacturers we ensure your premises are secure with attractive, cost-effective and user-friendly security equipment, which performs to the highest standard. We offer a comprehensive selection of intruder alarm signaling such as DigiAir, Redcare GSM, Dualcom systems, Speech dialers, GSM texting, digital communicators these can be offered with all of our intruder alarms. Following installation, first years maintenance at no extra charge. Maintained and monitored, for your peace of mind; ​We offer a range of intruder alarm signalling options, including systems that directly communicate to your smartphone to ensure any alarms are acted on quickly and reliably.